i’m trying to figure out my main characters, and imagine some secondary ones. i watched your highness last night, and really liked the younger brother’s attitude, and all the movie references. i don’t know if it’s a lot harder to do in print than visually, but i really got enthusiastic about all the gags. the boy wants to put pirates into the game in a bad way. the girl leans toward fairies and fantasy. kurt the kernel programmer doesn’t do gaming but sees himself as wizard of the game anyway. snake the replacement programmer is your basic first person shooter, the fairy godmother fan is a role player and social type, (sims and farmville, mario). the boy puts piratesque things into the game levels, like hidden stashes and treasure maps, bolt holes, spy holes, black holes. he bases his game on pirate principles (which are?) and on levels 3 and 4 he raids and steals, and when he gets to the mountain strongholds on level 4 it becomes institutionalized, with tribute from enderby. when he comes to hell, level 6, he is a corporate raider, of course. 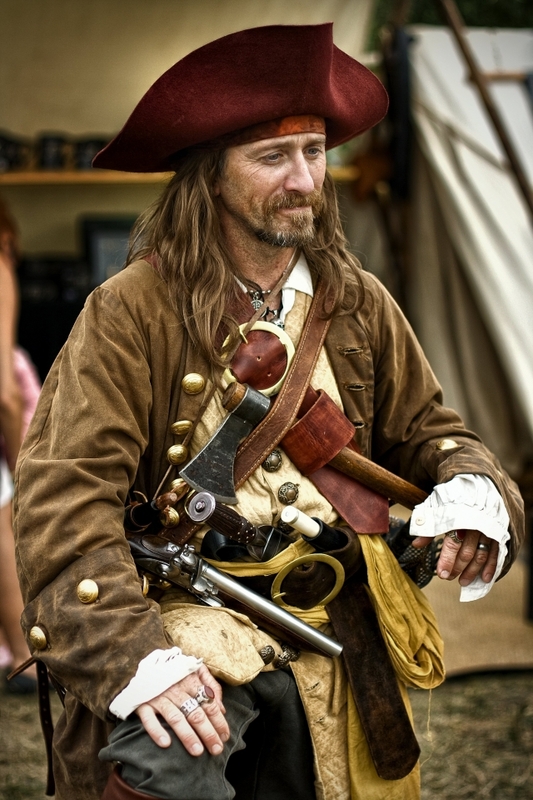 and his appearance at the gamburtsevs, for the showdown with the girl, he’s got on showy pirate gear. but now his pirate ways, instead of being charming and roguish, are brutal and rapacious, causing misery everywhere he goes and leaving the population spitting at the mention of his name. this is the bad side of piracy, where society finally gets organized to discourage pirates from attacking. they never go away entirely because it’s such a part of human nature to want to take it all, but it can be minimized, and that’s what organized society is all about. so it’s his atrocities that drive people to the girl’s side. when they learned about the quantum world, they understood different things. she understood that we are all one and that the important thing was to nurture and grow more connected. but he went for the glitz, the magic of quantum physics, the power of controlling it. he was enthusiastic when he came to cooperating with them, when they finally approached him. he’d been thinking for some time about the uses of quantum physics, and had a lot of influence on the direction of their weapons lab. when people begin to study magic, they’re usually looking to learn the secret powers. but the whole point of studying these things is to learn mastery of your own self. the secret powers are side effects, and not worth the bother. that’s what they say. the secret powers are really a trap. and the boy will become trapped by it. the girl, on the other hand, is trying to use quantum powers to help. and this is actually the same trap as the boy falls into. it’s actually an ego builder, and walls her off from the quantum source as much as the boy is walled off. so they both have shedding to do, transformation. she doesn’t just start out good and get holier. her desire to help is from pain and fear, from whatever it was way in her past that taught her to fear. and so it can’t turn out right. she has to do the work on herself, not just the world. so in the end her following is mawkish and self righteous and dogmatic, just like the boy’s following. they are both sick of the whole edifice they’ve built and the trap it’s become. and in this spirit they meet each other in the gamburtsevs, for that final showdown that will end the antarctic part of the game and let them go on to level !. Posted on December 29, 2011, in author's note, characters, game, pirate. Bookmark the permalink. Leave a comment.